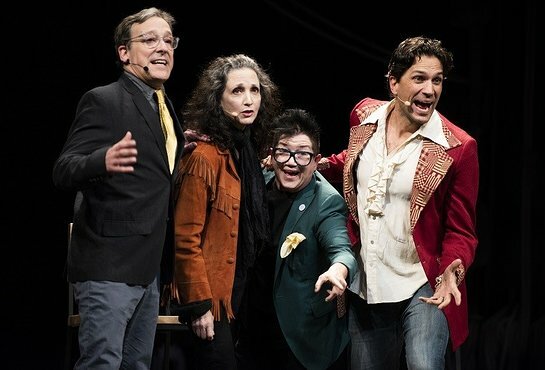 Favorites of theatre and screen took to the stage of the American Airlines Theatre in Times Square this week for The 24 Hour Musicals on Broadway. John Mulaney, Bebe Neuwirth, Corey Cott, Savion Glover, Jackie Cruz, Lea Delaria, Emily Estefan, were just a few of the exceptional group of artists who joined forces to write, direct and perform four original musicals within 24 hours, in support of The Lillys. The evening will benefited The Lillys’ work supporting women in theater and promoting gender parity, as well as The 24 Hour Plays’ programs, including The 24 Hour Plays: Nationals (a professional intensive for young artists). It also paid homage to the women who are changing the landscape of American Theatre, through appearances by Lynn Nottage, Lisa Kron, Stacey Mindich, Kristen Anderson-Lopez, Todd London and Sarah Ruhl.